Oakleigh South Primary School Were certainly well represented at the State Athletics Championships. 13 athletes competed and all 13 came away with a medal. 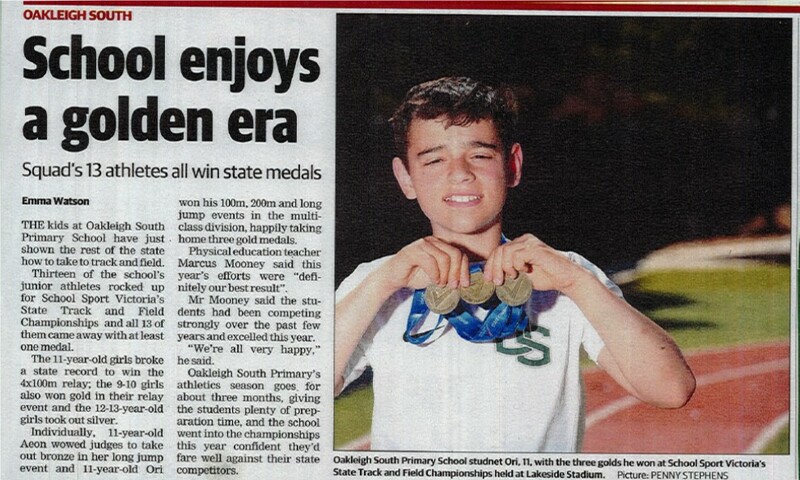 The Monash / Oakleigh Leader captured the success in this newspaper article.